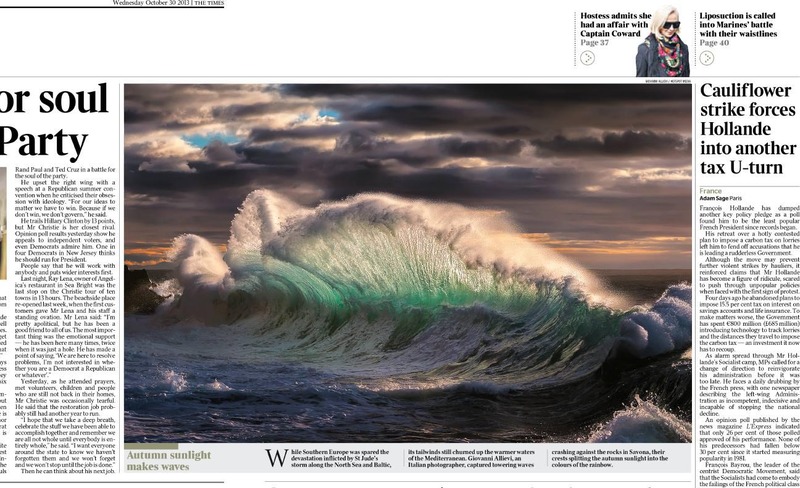 Recently some of my “Rough sea” photographs received coverage both in printed and online medias. “The Times” featured one of these gigantic guys in its October 30th printed issue. Other images in the “Rough sea” series has been featured in online editions of “The Daily Mail” (http://goo.gl/ENt55I) and “Repubblica.it” (http://goo.gl/9LenFp). Update: 500px.com features a bunch of images here too, while 1x.com asked me to write a tutorial on this subject which you can read here.